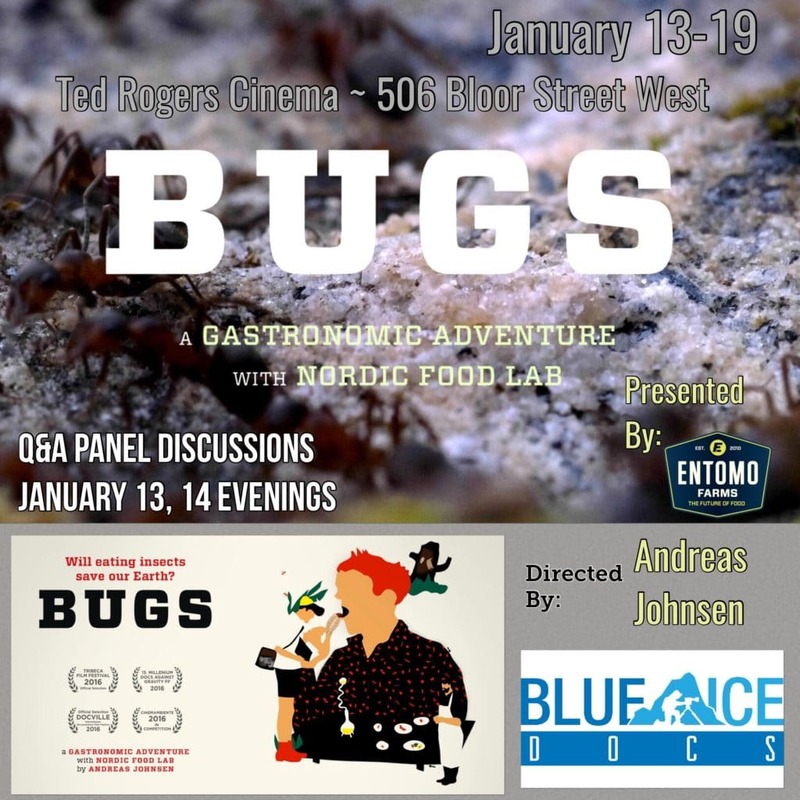 If you live in the Toronto area, and you are looking for something fun, different, intriguing and informative to do this coming weekend and into next week, come see the screening of the critically acclaimed documentary, BUGS. Purchase your tickets, and come on Friday January 13th, or Saturday January 14th to the evening screenings, and you will be able to partake in a question and answer panel after the screening with various members of the film. On Friday evening you will have the chance to meet Dr. Jarrod Goldin, one of the founders of Entomo Farms, as well as Chef Mark Jachecki, creator of the famous Bug Dog, culinary genius and visionary. This entry was posted in Community Hub and tagged cook with bugs, cook with crickets, cricket cuisine, documentary, eat bugs, eat clean, eat healthy, eat insects, edible bugs, edible insects, Entomophagy, film, healthy eating, healthy food, insect ingredients, movie, screening.